Home | Publications| Encyclopedia | Pruiett, Moorman H.
(5330, Oklahoma Historical Society Photograph Collection, OHS). Lawyer Moman Pruiett, born Moorman Pruiett on July 12, 1872, on a steamboat headed up the Ohio River, hailed from Leitchfield, Kentucky. At an early age he moved with his family to Arkansas, and by age sixteen Pruiett had been convicted of forgery and incarcerated. Continuous appeals to the Arkansas governor by his mother, Betty Moorman Pruiett, gained him a pardon after six months. The family moved to Paris, Texas, and Pruiett gained access to law books by cleaning attorney Jake Hodges's office. Again in trouble, the young man was sentenced to five years for theft. Pruiett swore his innocence, and legend claims he vowed in that courtroom that he would "empty your damn jails and turn the murderers and thieves loose in your midst." Again his mother pleaded with a governor, and Pruiett served only two years. On his return to Paris he received a letter from his grandmother denouncing him for shaming the Moorman name; he changed his name to Moman. In 1895 U.S. District Judge David Bryant licensed Pruiett to practice law in Oklahoma and Indian territories. By 1896 he established his practice at Pauls Valley. Recognized for his fiery oratory, large temper, and heavy drinking, he earned a reputation in the style of frontier lawyers such as Temple Houston, with whom he once had a confrontation. A superb criminal lawyer, Pruiett boasted that he defended 343 murder cases, and in 303 of those, the accused was acquitted. No client lost his life to execution, and only one received a death sentence, which U.S. Pres. William McKinley commuted. Pruiett's clients ranged from poor to rich, African Americans to Ku Klux Klan members, U.S. senators to communists. In 1914 Pruiett successfully defended Sen. Thomas P. Gore in a sexual harassment case. Pruiett attended the 1906 Oklahoma Constitutional Convention as a special delegate, representing the Democratic Executive Committee. At the convention he had the honor of naming a county, which, predictably, he called Moman. Although bitterly opposed to William "Alfalfa Bill" Murray, Pruiett ran afoul of Charles Haskell, and in a political rebuke the county's designation was changed to Creek County. Pruiett had political ambitions, declaring campaigns for state senator, governor, and later Oklahoma County attorney, but he never attained an office. The lawyer also had a violent side. In 1899 he pistol-whipped attorney Leonidos C. Andrews, in 1902 he shot drifter Charley Wiseman, in 1903 he shot Dr. Waller Threldkeld, in 1909 Fred Carwell, counselor for Haskell, charged him with assault, in 1921 he shot and killed bootlegger Joe Patterson, and in 1922 Frank Eckerly accused him of assault with a gun. Pruiett was also arrested many times on liquor-related charges. Pruiett accrued a large amount of wealth and bought a mansion and moved to Miami, Florida, in the early 1920s. In September 1926 a violent hurricane destroyed his home. He returned to Oklahoma and continued his law career, but not as ferociously as in the past. In 1935 disbarment proceedings by the Oklahoma Bar Association brought him a one-year suspension by the State Supreme Court. In 1942 he represented his last murder defendant. In the late 1930s Howard K. Berry, with Pruiett's sanction, authored a biography of the defender. While Berry was stationed overseas during World War II, Pruiett excised many parts of the manuscript and published it as Moman Pruiett, Criminal Lawyer. The Daily Oklahoman and Tulsa Tribune affix December 12, 1945, as the date of Moman Pruiett's death. In his last years the famed lawyer had relied on an old-age pension. In the 1950s the Oklahoma Supreme Court declared that Berry was the owner of the rights to Pruiett's biography. The original manuscript was reprinted in 2001. Novelist Jim Thompson used Pruiett as the model for many of the lawyers in his books. In his book, Me and My Big Mouth Walter Harrison, formerly of the Daily Oklahoman, proclaimed Pruiett "the greatest master of backwoods psychology, actor, hypocrite, fakir, lawyer, showman, and publicity expert the courts of Oklahoma ever will look upon." Howard K. Berry, He Made It Safe to Murder: The Life of Moman Pruiett (Oklahoma City: Oklahoma Heritage Association, 2001). Ken Butler, Oklahoma Renegades: Their Deeds and Misdeeds (Gretna, La. : Pelican Publishing Co., 1997). Orben J. Casey, And Justice for All: The Legal Profession in Oklahoma, 1821–1989 (Oklahoma City: Oklahoma Heritage Association, 1989). Walter Harrison, Me and My Big Mouth (Oklahoma City: Britton Printing Co., 1954). Robert Polito, Savage Art: A Biography of Jim Thompson (New York: Alfred A. Knopf, 1995). 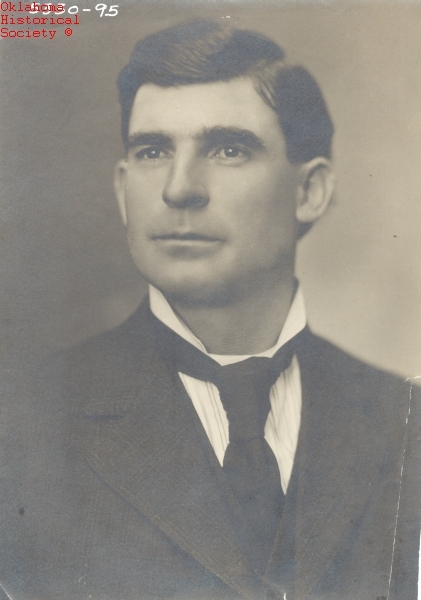 Larry O'Dell, "Pruiett, Moorman H.," The Encyclopedia of Oklahoma History and Culture, https://www.okhistory.org/publications/enc/entry.php?entry=PR022.